Each year March is dedicated to Women’s History Month. LMU Seaver College is celebrating this month by featuring some of the amazing women in our college, who are extremely successful in their fields. Cheers to celebrating Seaver’s own wonder women! 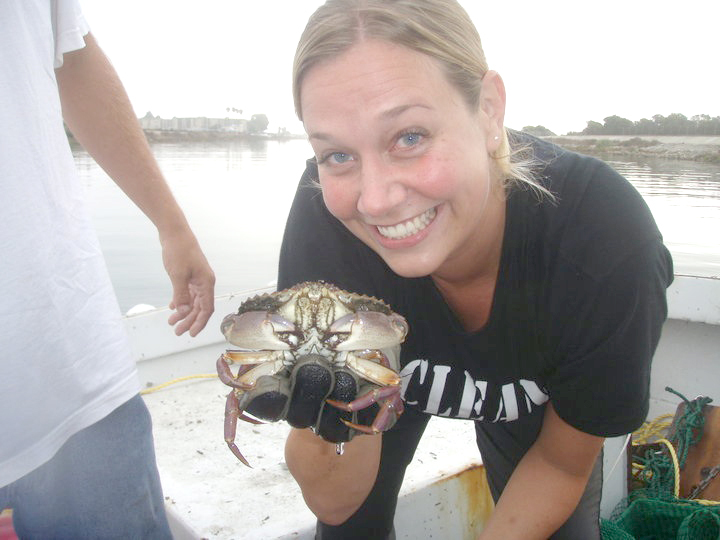 Today we feature Karina Johnston, Senior Lecturer of Environmental Science. A: Higher education opens doors that you didn’t realize were shut. Graduate school allows you to acquire independence, pursue scientific research interests, and develop life-long colleagues. It helps you build skill sets tailored to individual needs and aspirations. A: Try new things. It sounds simple, but often finding interesting opportunities requires us to step outside our comfort zones. Also, find anyone that you think has an interesting job and ask them how their career path formed. You might be surprised at the variety of potential pathways that exist. A: I’ve had many women role models – some of them have been my supervisors or leaders in the environmental science field, and some have been family members that have overcome various forms of hardships. I’m especially proud of my mom who was finally able to go back to graduate school in her 50’s and follow a career path in education.